A rebranding exercise is an exciting project for any company. But it will present challenges too, not least because the process, from concept to roll-out, can take months if not years to implement. The value that your brand represents to your overall company value can be as much as 15%, and in the case of a business like Coca-Cola, that figure is 50%. Getting a rebrand implemented smoothly and accurately, therefore, can have a massive impact on your business. In my experience, success is most accurately measured by the implementation phase of a rebrand. In my early career at various branding agencies, I frequently saw branding projects lose momentum, strength and vitality in the implementation stage – because the process was, to put it bluntly, chaotic. Implementation can cost as much as 20 times the price of brand design. If you pay £100,000 for the design phase, you’ll pay £2m for the roll-out. And, if you don’t get it right, you are going to see a disappointing return on investment. So I offer the following as the five strategic actions that, in my view, come together in assuring a successful rebrand. There’s been some talk in the last weeks about FMCG companies investing in and building their corporate brands. Research by media monitoring company Precise, published in March 2013 says that consumers are more likely to view FMCG companies favourably if they develop a recognisable corporate brand. Now comes the news that Johnson & Johnson have unveiled a new corporate slogan, prompting Mark Ritson to write in Marketing Week last week in less than complimentary terms about various attempts at corporate brand building. What all this proves is that the audience for corporate brands has extended beyond the traditional confines of city, press and internal staff to include consumers, and the principles of brand management are being applied. 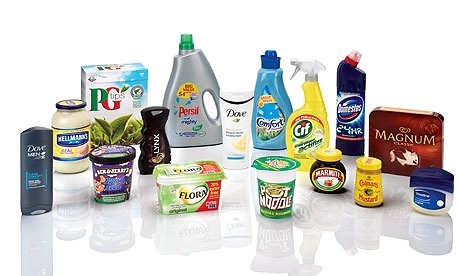 In fact, both Reckitt Benckiser and Unilever place so much importance on their corporate brands that they use digital asset management systems to manage them. Marketing automation on the rise, social media going ballistic, location-based marketing ramping up. We certainly saw some major changes in the brand management landscape in 2012. But what do we predict as the key trends in branding and marketing as 2013 gets under way? Let’s have a look. The last IPA Bellwether report indicated that UK marketing spending had fallen due to deteriorating business confidence and cost-cutting measures. Marketing budgets were hit by weaker than expected sales and concerns about the strength of the economy in Europe. In the face of reduced budgets, the challenge for marketers is to find ways to become more efficient. We need to think smarter about how to get more out of our marketing budgets and to make sure that we invest the resources we have in the channels that demonstrate the best returns. No-one can fail to have been inspired by the 2012 Olympics we have just witnessed. Sports men and women competing at the top of their game to win the highest prize possible in sport. They invest years preparing for the moment they go for gold. It is humbling and also motivating to witness that determination to be the best. Each time a customer interacts with your brand, that experience defines who you are, how you operate, and how you’re different from your competitors.